DUBAI (March 23): Oil giant Saudi Aramco has selected Samba Capital as one of two banks to work as an adviser on its planned share sale in Riyadh, banking sources told Reuters on Thursday. At least six investment banks pitched for a role advising the world's largest oil producer on its listing on the Saudi stock exchange in Riyadh, the Tadawul. Saudi authorities are aiming to list a total of up to 5% of Aramco — on the Tadawul and one or more international markets — in an initial public offering that could raise US$100 billion. 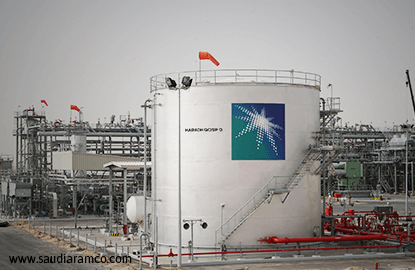 Saudi Aramco said it did not comment on rumour or speculation. Samba Financial Group, the parent of Samba Capital, did not immediately respond to a request for comment. JPMorgan and Morgan Stanley have been asked to work on Saudi Aramco's global listing, alongside independent boutique bank Michael Klein and New York-based boutique investment bank Moelis & Co, sources familiar with the matter have told Reuters. HSBC is also a leading contender for a role, sources have said. The fees the local advisers are likely to earn will be dwarfed by those taken by their global counterparts, but should still be lucrative given the deal would be the largest local listing in Saudi Arabia's history. "The government will negotiate aggressively on the fees and their size will depend on how much of Aramco the government decides to list," said a banker familiar with the matter. The local role will entail working with regulators at Saudi's Capital Market Authority to prepare for the Tadawul listing, which is expected to be smaller than the international portion. Samba Capital, the investment arm of Saudi Arabia's third-largest bank by assets, is one of the more active local investment banks. Saudi Arabian sports and fitness business Leejam Sports Co was expected to hire Samba Capital to advise it on a stock market flotation in the kingdom, Reuters reported in May 2016.